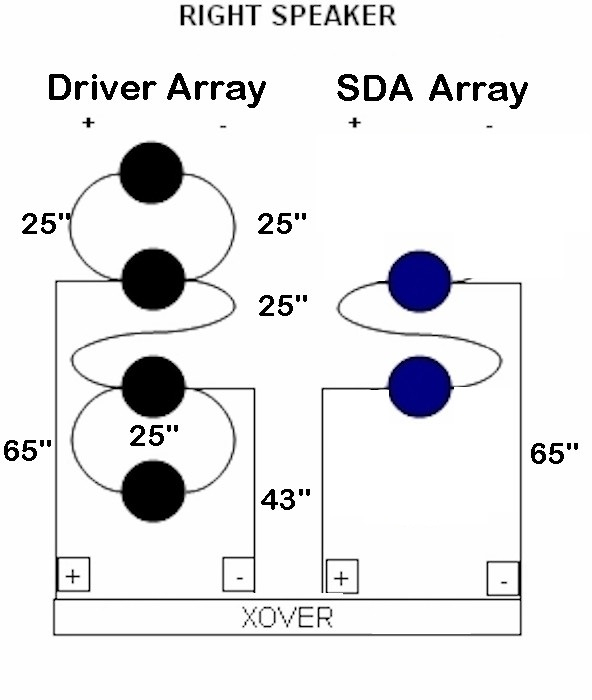 Looking to confirm that the 2 SDA midbass drivers are wired in series versus parallel. Do you have wiring schematic? I have a diagrahm of the 2.3 and notes to the differences of the 2.3tl, unfortunately my notes are not clear for the 2.3tl differences. I 99% positive it is series wiring but just want to make sure. the internal wiring schematics on that page are worthless unfortunately. They each have their own wires off the molex. I use the sda handbook pictures they might be the same as the link, I can't see the link unfortunately. I don't recall how they are wired. You might ask gmcman as he rewired his not long ago. I don't believe that is correct. Both positives are blue and both negatives are green. ah, so they are in fact parallel. Cool deal! Yeah, I found some notes I'd written at some point. That is correct, Trey. I just found the notes you had me take for mine. I can give you the proper measurements if you like, as they differ from the 1.2TL's. I just wanted to double, triple check before I moved forwards! I'll add this now just in case. All of the 25" lengths are also 25" in the 2.3TL's. 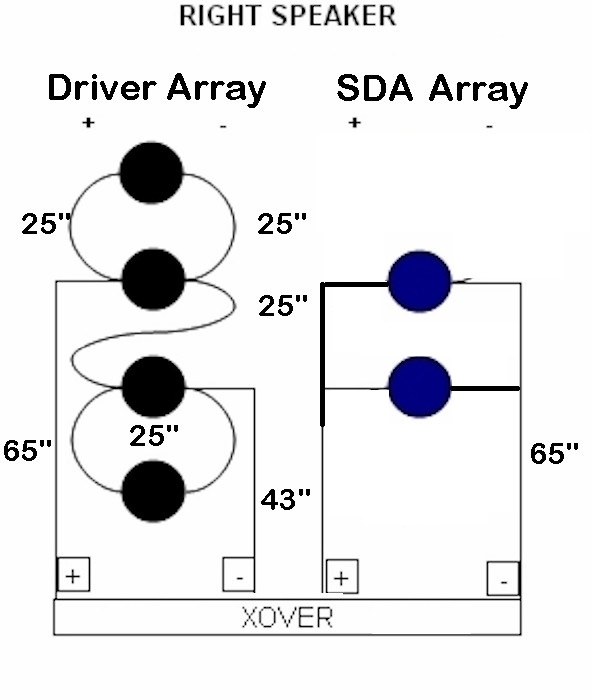 From the crossover to the lower driver on the SDA array side, both wires are 30" instead of 43". From the crossover on the driver array side, the white (neutral) wire, leading to the second driver from the BOTTOM, is 30" instead of 43". The black (positive) wire, leading to the second driver from the TOP, is 48" instead of 65". EDIT: I see you have found the e-mails. I'll leave this here in case it may help someone in the future who runs across this thread. Sorry bud, I was at work and didn't see this until this am. Looks like you have it fixed. I have my factory harness in the box if you need any more help. As a general rule, on all 4th and 5th generation SDAs, the stereo side is 8 ohm nominal, and the dimensional side is 4 ohm nominal.